Clean Eating Magazine Selects our Traditional Oatmeal! Clean Eating Magazine has made a name for itself by bringing its subscribers a guide book to eating and cooking whole food in the most natural state. The magazine’s audience can learn to enhance the natural flavors of meals without compromising the integrity of their food. 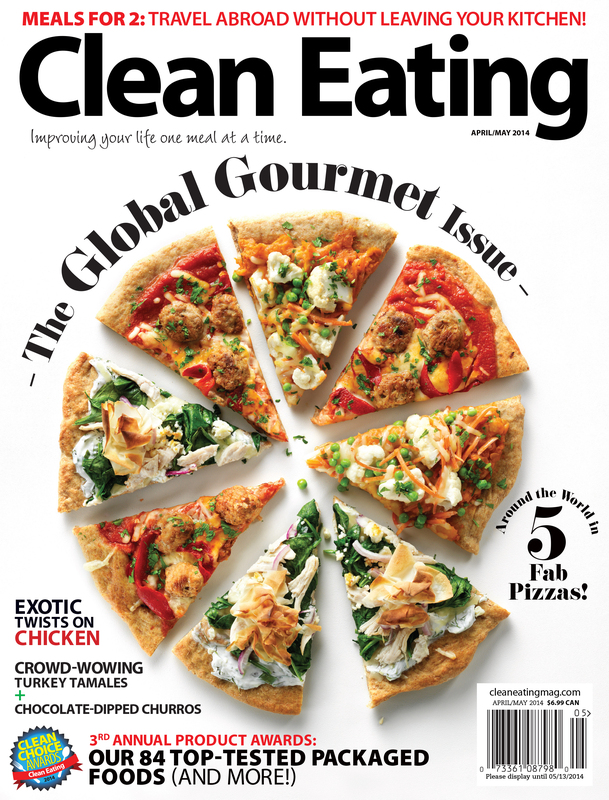 Clean Eating Magazine annually hosts the Clean Choice Awards where the magazine highlights a number of packaged products that they feel are the best of the best in terms of clean (whole foods with little to no processing) and healthy. The products are judged on taste, mouthfeel, addictiveness, ingredients, responsible packaging, and time-saving convenience. Well, guess what? Our Traditional Oatmeal won! That’s right, the same traditional oatmeal that is made up of certified gluten free oats, and ancient grains like chia, flax, quinoa and amaranth. 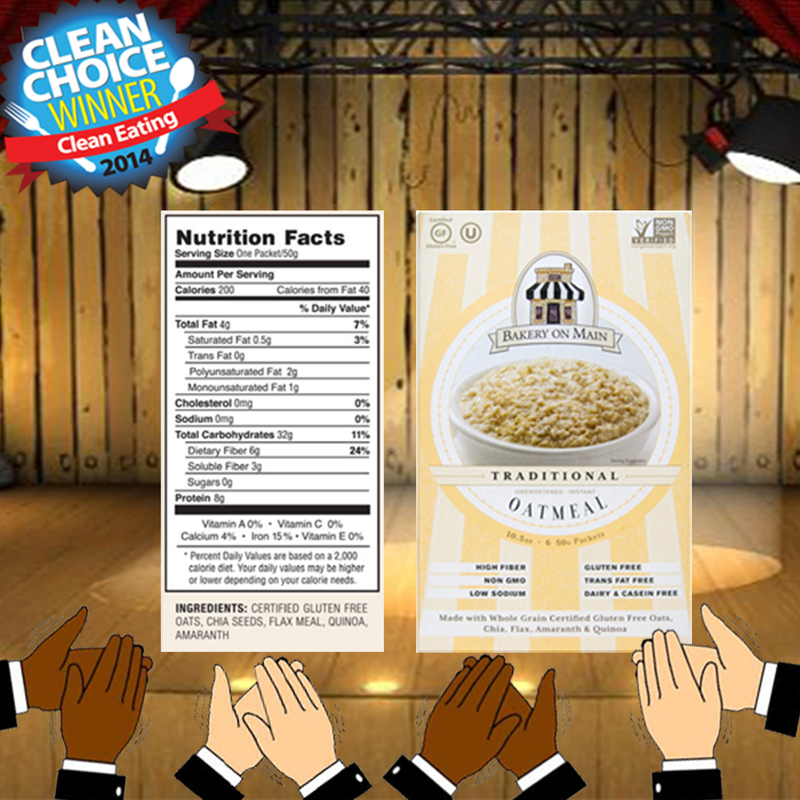 We’re now so excited to say that when you eat our traditional oatmeal, you are eating a 2014 clean choice winner! 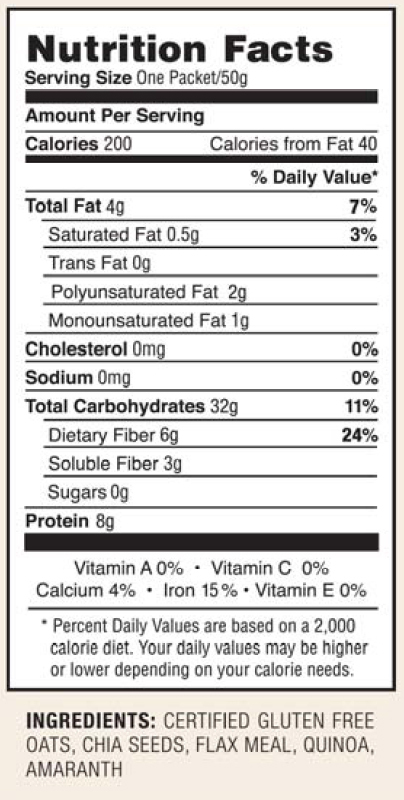 Here’s a closer look at the nutrition label of our Traditional Oatmeal. Pick up some Traditional Oatmeal from our website today and let us know what you think. Also, be sure to look for us in this April/May issue of Clean Eating Magazine. This entry was posted in News and tagged Ancient Grains, Bakery On Main, Clean Choice Awards, Clean Eating Magazine, gluten free, Non-GMO, Traditional Oatmeal.